Smith was arraigned Thursday on three charges of violating a protective order, which was issued when he was arraigned March 12 for his original domestic violence charges stemming from a March 3 incident with his fiancée. He turned himself in on those charges on March 23 but failed to show for a court appearance two weeks ago before making his appearance Thursday. He was ordered to wear an ankle monitor, which monitors alcohol use through sweat. The report today doesn’t include how exactly Smith managed to violate a condition of electronic monitoring the very day after he was put on electronic monitoring. The original charges for which he was arraigned Thursday stem from an incident in early March when he was accused of biting his girlfriend on the wrists, which ultimately led to his release by the Raiders. 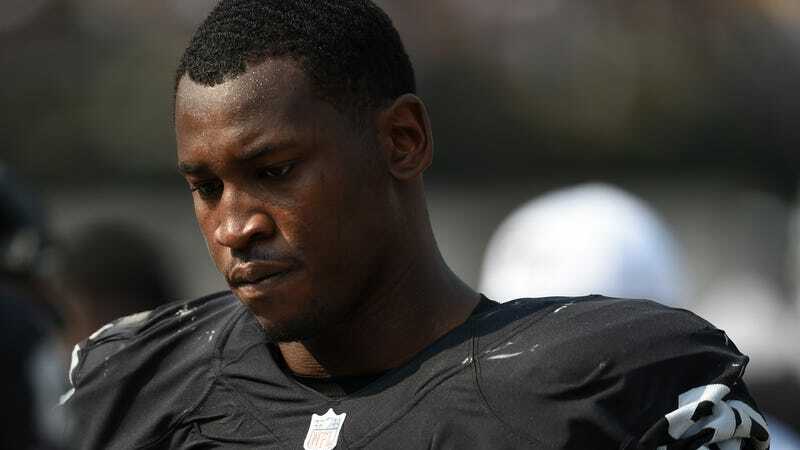 Smith hasn’t played in an NFL game since he was suspended in 2015 following his third DUI arrest.